The combination of housing subsidies with nutrition benefits improves housing security. Housing subsidies are critically important for ensuring low income families are “housing secure” (as defined by experiencing overcrowding or frequent moves in the previous year). 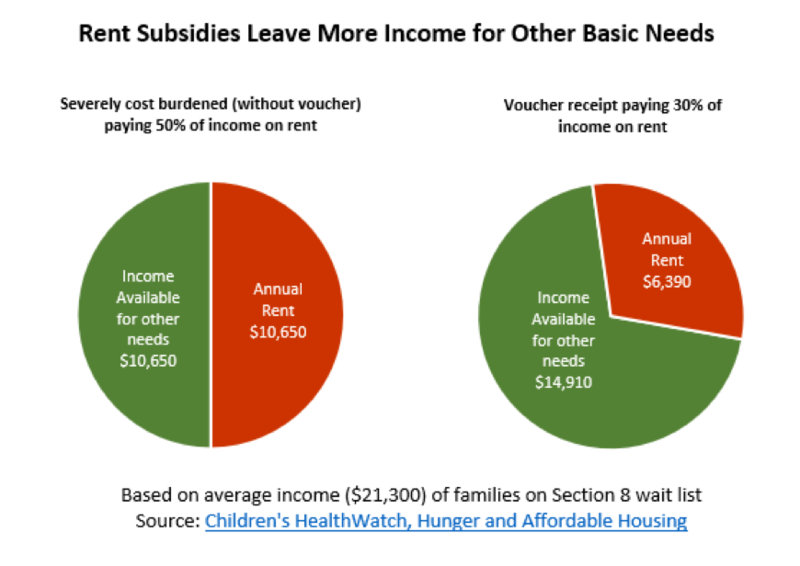 Low income families receiving housing subsidies in combination with Supplemental Nutrition Assistance Program (SNAP) and Women, Infants and Children (WIC) benefits were 72% more likely to be housing secure than those receiving housing subsidies alone (Sandel et. al., 2014). 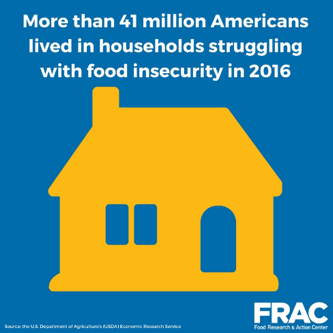 Food Insecurity & Hunger in the U.S.